A common misconception is that wills are important only for people who want to ensure their children are cared for after they pass away. This could be one of the reasons that 56 percent of Americans do not even have a will. However, most of the time after an individual dies, belongings automatically pass to children or a spouse. For residents of Nevada who are single, are cohabitating or married without children, it can actually be more important for them to consider estate planning. An essential aspect of every estate plan is a power of attorney. Powers of attorney are important when a person becomes incapacitated and unable to make decisions on his or her own behalf regarding health care and/or financial decisions. Designating a person ahead of time and establishing clear directives can help avoid complications after the fact. If no one is named, the person making these important choices could, by default, potentially end up being someone with whom the individual is not close, such as an estranged parent or a sibling who simply does not know the individual’s wishes. Once powers of attorney have been established, the next step is to name beneficiaries. Single people without children may choose to designate nieces or nephews, but in cases like this, it is always wise to discuss the idea with family members ahead of time. In other situations, childless individuals often choose a favorite charity as beneficiary. There are ways to set up charitable distributions and funds which allow for tax deductions. Some people even decide to establish a charitable foundation so that their name will live on after their death. 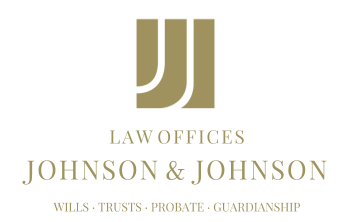 Most Nevada estate planning attorneys have documentation on hand for setting up such a charitable foundation, and they would be familiar with the various methods of naming an organization as a beneficiary. An experienced lawyer can also help with the wording in the powers of attorney documentation, as it could potentially be rejected or challenged in certain circumstances; a knowledgeable attorney could help safeguard against eventualities such as this and make sure that an individual’s wishes are carried out after death.